The Libyan National Meteorological Centre (NMC) has issued a flood warning for the south west of Libya, saying that heavy rains could see wadis flooding in the next couple of days, particularly in the Qatrun and the Brak Al-Shatti areas. It also warns that heavy rains are expected within the next 24 to 36 hours in Benghazi and the Green Mountains. Rain is also predicted for Khoms and Misrata. 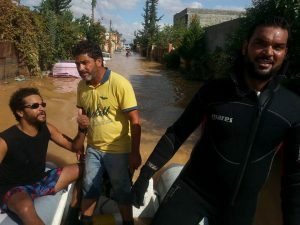 The warnings came after severe rainfall last week in the west of the country which resulted in two people drowning in Zliten when the Wadi Majer flooded. There was also major flooding in Bani Walid. In Tripoli, where the highway near the Hadba hospital was submerged , waters have only now subsided in the Wadi Al-Rabie area east of Tripoli International Airport. 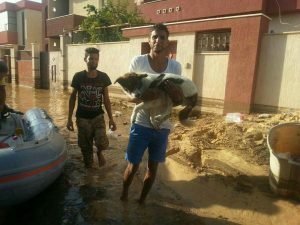 The Tripoli civil defence force had to use boats to rescue people there, and flooding caused major damage to several homes.